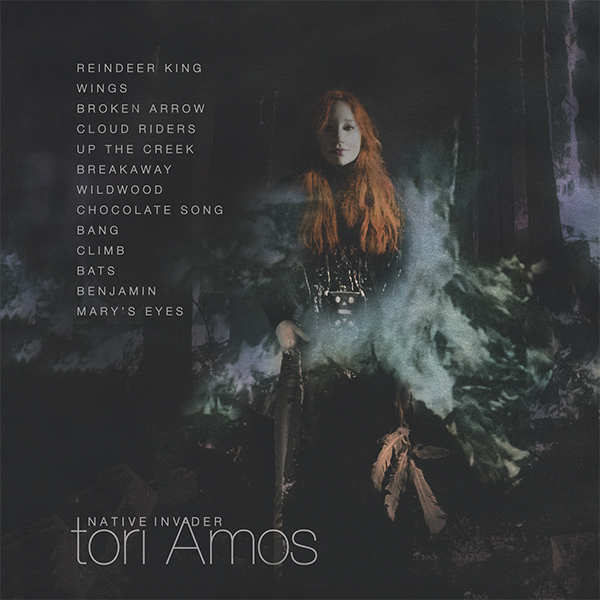 We are delighted to announce that Native Invader, Tori's fifteenth studio album, and her first since 2014's Unrepentant Geraldines, is now available to pre order. Native Invader is an intense feast of melody, protest, tenderness and pain. In the summer of 2016, Tori took a road trip through North Carolina's Smoky Mountains. The intention was to reconnect with the stories and songlines of her mother's family, who were from the North Carolina and Tennessee Smoky Mountain area. That winter, two seismic events knocked the plan off its axis. The fall out from the US Election. And in January her mother, Maryellen Amos, suffered a severe stroke leaving her unable to speak. The complex influence of America's alt-right Super PACs, lobbyists and think tanks informs much of the tension in Native Invader. "It wasn't going to be a record of pain, blood and bone when I began," Tori says. "It wasn't going to be a record of division. But the Muses 9 insisted that I listened and watched the conflicts that were traumatizing the nation and write about those raw emotions. Hopefully people will find strength and resilience within the songs to give them the energy to survive the storms that we are currently in ". The sense of semantic distortion permeates Native Invader. Tori talks of the need to form a "militia of the mind" in the face of national lies.